Stuttgart – Even more visually expressive and with an even more elegant and comfortable interior, Mercedes-Benz presents the new GL-Class “Grand Edition”. This distinctive, new special edition of the off-roader comes as standard with a level of spaciousness and comfort that is on a par with a luxury saloon. Features reserved exclusively for the "Grand Edition" designation include special light-alloy wheels with 275/50 R 20 tyres, high‑quality, two-tone leather seats in a new design, and wood trim in black ash. 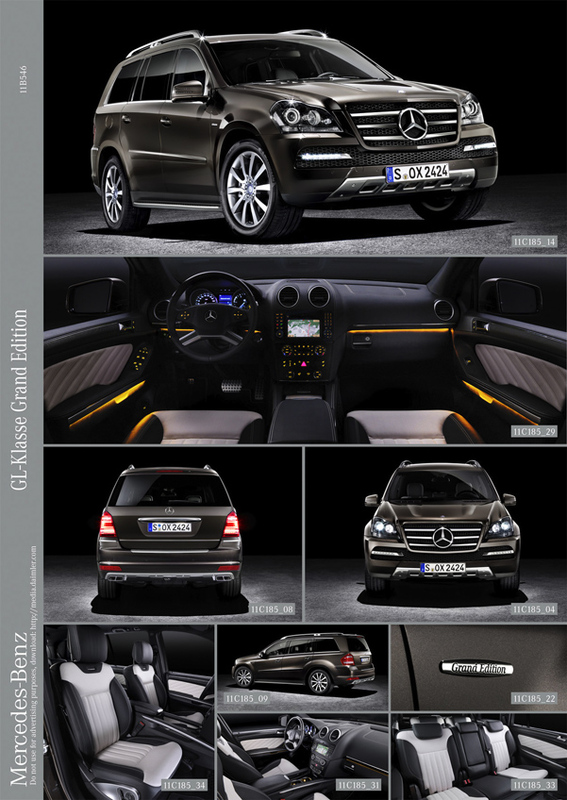 The special Grand Edition model also offers an array of high-quality additional equipment and is available with all the engines in the GL-Class line-up. The exclusive front end of the “Grand Edition” is unmistakeable: dark-tinted headlamps, a radiator grille with black, high-gloss louvres and a redesigned front bumper with integrated LED daytime running lamps define the special model. Light-alloy wheels in himalayas grey metallic – with a high-sheen finish also available as an option – add further exclusivity. There are other visual highlights too, such as metallic paint finishes, heat-insulating and infrared-reflecting laminated glass all round, aluminium-look running boards with rubber studs, and separated exhaust tailpipe trim. The interior of the GL-Class accommodates up to seven occupants in comfort with an exceptional level of spaciousness, creating the luxurious atmosphere you would expect from Mercedes-Benz – in this case comparable to the S-Class. 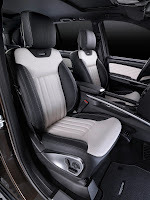 For the “Grand Edition”, Mercedes-Benz has refined the interior further, especially through the use of stylish materials. 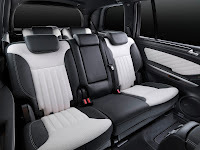 Exclusive appointments include two-tone seats (black/porcelain or black/maroon) in leather (or in nappa leather as an option) with a special piping design and contrasting stitching. 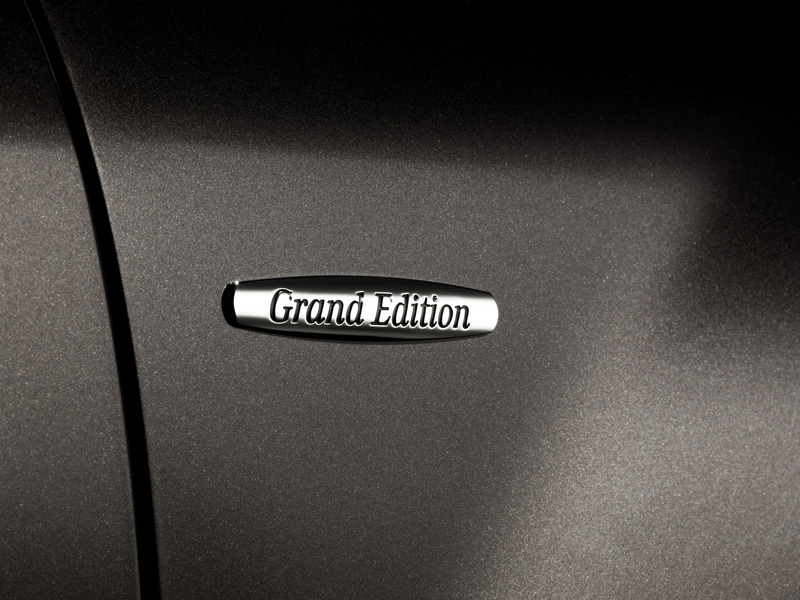 Likewise only available on the “Grand Edition” are door centre panels, armrests and dashboard instrument panel with double-lapped felling, as well as trim and a wood/leather steering wheel in black ash. Other high-quality appointments: comfort headrests for the driver and front passenger, ambient lighting, roof liner in black designo fabric, velour floor mats with contrasting stitching and "Grand Edition" lettering, "Grand Edition" badge on the centre console, sports pedals in brushed stainless steel with rubber studs and door sill panels in stainless steel. 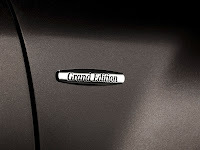 The “Grand Edition” models are equipped with PARKTRONIC and any one of the available engines. 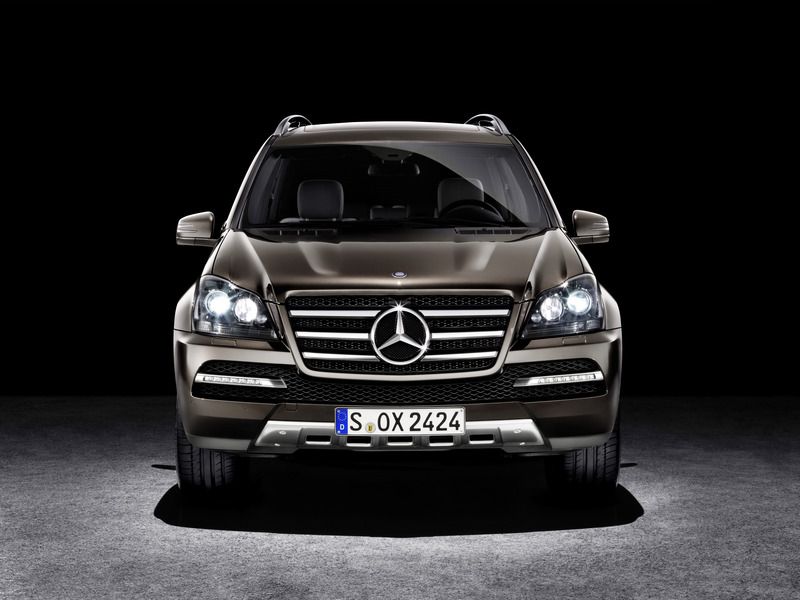 The V6 diesel engine in the GL 350 BlueTEC 4MATIC utilises highly efficient SCR exhaust gas technology, outputs 155 kW (211 hp) and delivers its maximum torque of 540 Newton metres at 1600 rpm. 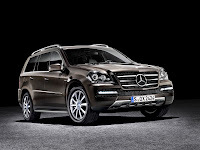 On average this engine consumes 9.0 litres of diesel per 100 kilometres. 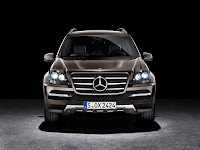 In the GL 350 CDI 4MATIC BlueEFFICIENCY, the V6 engine outputs 195 kW (265 hp) and generates torque of 620 Newton metres. It consumes 8.9 litres per 100 kilometres. Superior power delivery and maximum smoothness are the particular benefits of the two petrol V8 models. 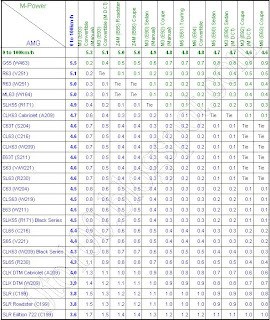 These models also comply with the EU5 emissions standard. 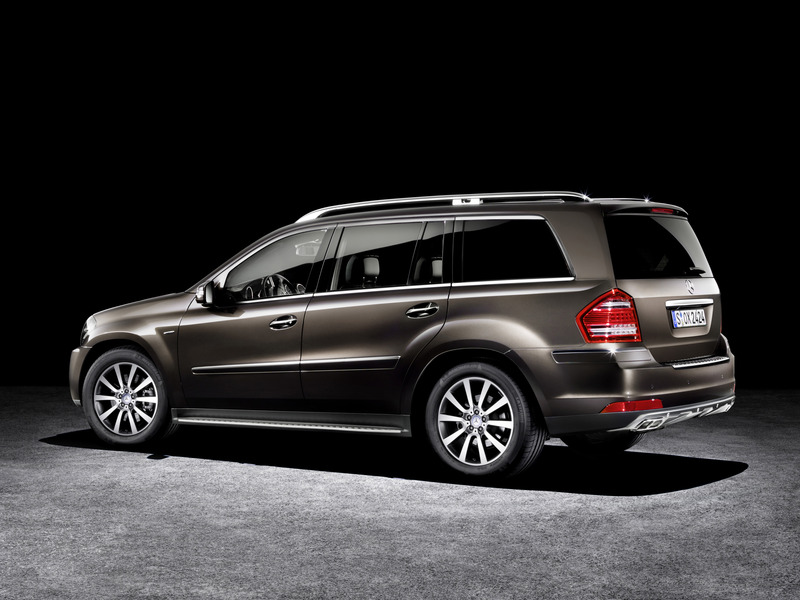 The 5.5-litre V8 engine in the GL 500 outputs 285 kW (388 hp) and delivers 530 Newton metres of torque. At 6.5 seconds, its acceleration time from a standstill to 100 km/h is almost worthy of a sports car. On the GL 450, the V8 petrol engine has a displacement of 4.6 litres, outputs 250 kW (340 hp) and generates maximum torque of 460 Newton metres. It takes 7.2 seconds to sprint from 0 to 100 km/h. With innovative 4MATIC all-wheel drive, AIRMATIC air suspension as standard, the accurate Direct-Steer system and the Adaptive Damping System ADS, which also comes as standard, the commanding GL-Class offers impressive handling, guaranteeing excellent ride comfort coupled with outstanding active safety. 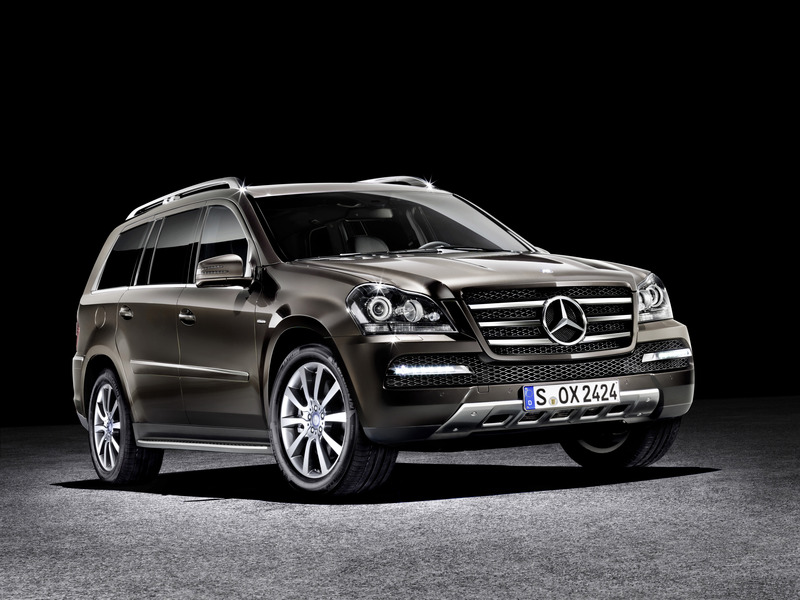 While the GL cuts an imposing figure on the asphalt, it also has genuine off-road credentials. 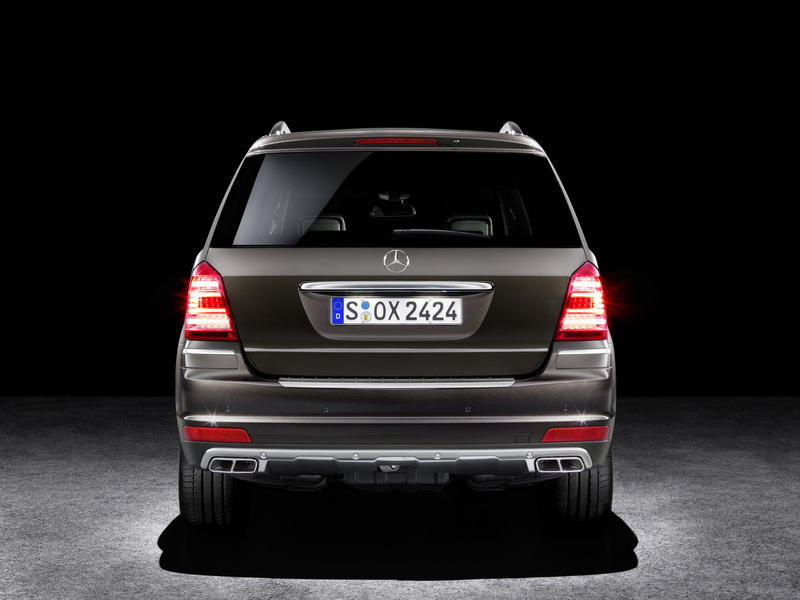 The modified AIRMATIC air suspension enables ground clearance of up to 307 millimetres. Thanks to its low-range ratio and limited-slip rear-axle and centre differentials, the standard Off-Road Pro technical package opens up considerably more possibilities on challenging terrain. 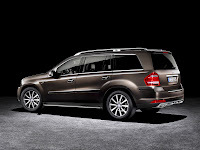 Other electronic dynamic handling control systems such as Off-Road ABS, Downhill Speed Regulation (DSR) and Hill-Start Assist also make life easier for the GL-Class driver.